Need to Know When the Roller Derby Bout Begins? Don’t get me wrong. 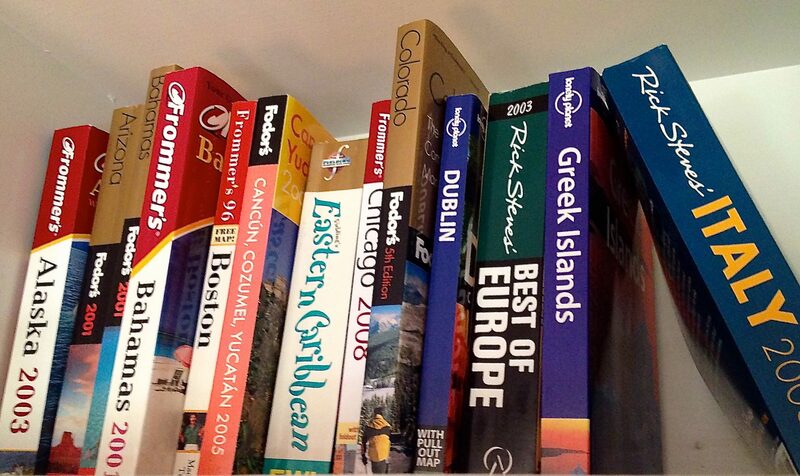 I firmly believe in the power of travel guidebooks. Fodor’s. Frommer’s. Lonely Planet. Rick Steves. (If you’ve begun to wonder whether I have an absurd obsession with Mr. Steves, I’ll ‘fess up now. Yes. I do. And I’m not ashamed to admit it.) These books provide essential information for travelers, the “nuts and bolts”: maps, hotels, and attractions. However, they are sometimes out-of-date, particularly if you’re using a library edition of an old guidebook to plan a trip. It’s just the nature of the research, write, publish cycle. To access the most current information when traveling, I recommend obtaining the entertainment supplement of your destination’s local newspaper. Usually published on Thursday or Friday, it will contain listings for all the clubs and concert halls so you’ll know who’s performing where and when. If the local sports teams are playing in town, the game times will be included. And theatre performances and movies. There’s usually a restaurant review that may pique your curiosity. Without it, you may be left to rely on the “advice” of your rental car’s GPS. Sitting at a recent travel baseball game, one of the parents was complaining that they couldn’t find a movie theater in town. 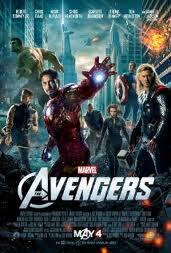 Their navigation system was sending them 50 miles south to catch “The Avengers“. I was happy to tell them there was a multiplex at the local mall, information I’d gleaned from Oneonta’s Daily Star. I didn’t tell them that I’d vigorously advocated against the movie and tried to get my family to go to see the Derailing Darlings take on the Lumber Jills in a women’s roller derby bout instead. During a recent trip to Nashville, I used The Tennessean extensively to verify show times and club cover charges. 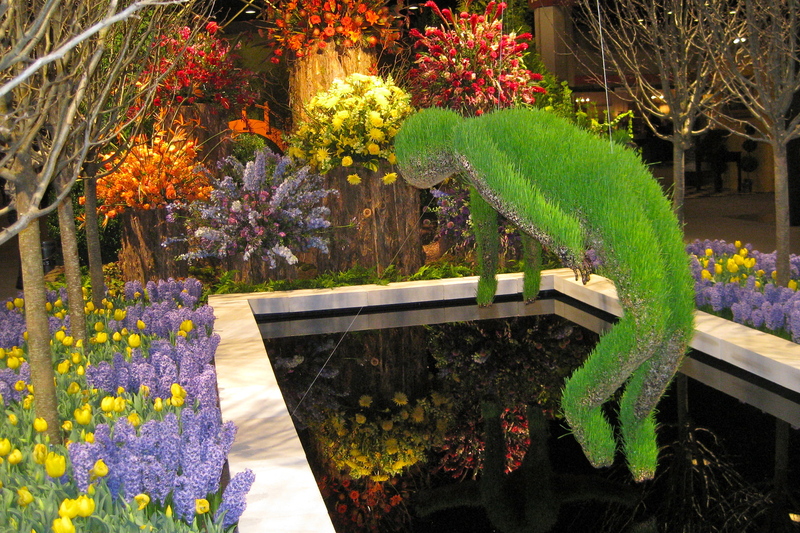 Without it, I wouldn’t have known that the 2012 Antiques and Garden Show was in town during my stay. I had a couple of hours to kill before my flight, so I popped in. There were some wild floral displays and I picked up a couple of unusual souvenirs. These newspaper supplements also feature lots of splash ads. Besides giving days and hours of operation, addresses and phone numbers, many feature discount coupons for admissions, 2-for-1 drink specials, etc.. Although most newspapers have convenient online events calendars, I prefer to plunk down some change and buy a print edition. This way I have all the information I need plus a bonus – the crossword puzzle. It may come in handy should there be a lengthy intermission during roller derby.